As a reminder, every team must perform final check in. Our official check in night is scheduled for Friday, August 30 from 4-7 PM at Oak Brook Polo Field in Oak Brook (700 Oak Brook Road, Oak Brook IL). We strongly encourage each team to check in on Friday night, but if it is not possible, you can check in your player pass at the Polo Field main tent no later than 1 hour before your first game on Saturday. Please note that even if all your paperwork is in, you still need to check in to have your player passes certified. 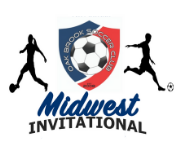 A reminder that team paperwork for Midwest Invitational Tournament is due by August 25, 2019. Below is an explanation of the paperwork and how you can get it to us. An approved Permission to Travel form from your home state USYSA affiliate for out of state teams only. Taking this path will ensure all your items are in our hands before you even arrive, all that will be left is checking players passes!! Tournament Rules - Download and print from the Oak Brook SC website. Coaches and players must be familiar with tournament rules. IYSA Tournament Roster - Fill out tournament roster form. This will remain with Tournament Officials. Only players participating in the event should be listed. IYSA Medical Release Forms - Copy of State Medical Release forms will be checked by the Tournament Officials and returned to the team. All Team managers or Coaches are required to have their Medical release forms present at every game and provide a copy for any player receiving medical treatment. Guest Player Forms - IYSA State Guest Player Form (if the player is from the same club, no form needed). Player Passes - Current, valid, laminated USYSA or US Club player passes required for all players and coaches.